Heating and Air Conditioning Installation and Geothermal Service in the Greater Cincinnati, Ohio area since 1936. 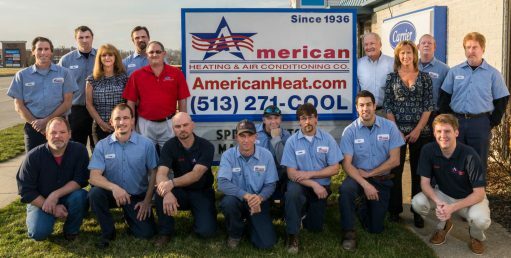 Since 1936, American Heating & Air Conditioning Co. has provided top-notch HVAC services for three generations of homeowners and businesses. 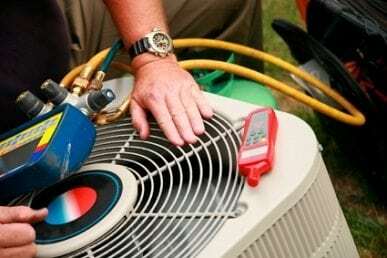 We are the local authority in installation, repair, and ongoing maintenance of all heating and cooling components, including boilers, carrier furnaces, air conditioners, and heat pump systems. newer furnaces and air conditioners. Trust in the same Cincinnati heating and cooling company that your grandparents relied on. You can count on our local, family-owned company to provide reliable, thorough HVAC service all year round. We offer customized comfort solutions to meet the unique needs of your home or business. Based on your present air flow, duct system configuration, and budget for new heating and air conditioning system, we will recommend a solution that is tailored to your HVAC needs and challenges, with comfort, efficiency, and affordability in mind. We install only the highest quality equipment from the brands you know and trust, such as Carrier and heating and air conditioning equipment. Both of these brands provide 10-year parts warranties to ensure your peace of mind. 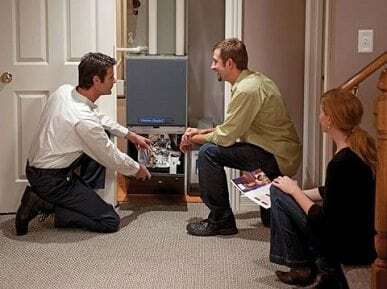 Dependable, high-quality service on all types of heating systems in Greater Cincinnati. In addition to installing brand-new systems, we also provide reliable maintenance and repair of existing components, with a specialty in high-efficiency furnaces and hybrid heat dual fuel systems. With our American Plan Maintenance Agreement, we offer routine upkeep and health checks of your heating system at a fixed, affordable price. Ongoing maintenance of your HVAC equipment will protect the longevity of your system and boost the return on your investment. 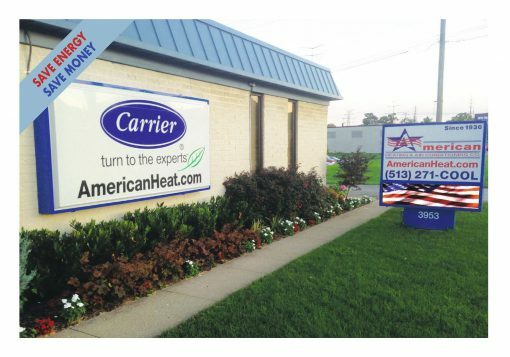 At American Heating & Air Conditioning, many of our customers relocate to warmer climates in the winter. We can install either a Carrier Cor or Nest Thermostat by Google in your Cincinnati home of business, allowing you to control the heating and air conditioning from your iPhone or tablet. This provides priceless peace of mind when you are away and the temperatures in Cincinnati are extremely frigid. It is comforting to know that when you are in Florida and Cincinnati has sub-zero temperatures, your home will remain at a safe and stable 60 degrees. 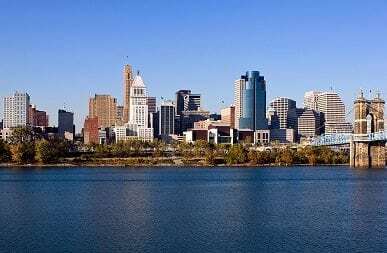 With the hot, humid climate of Cincinnati summers, optimal air quality is essential. At American Heating & Air Conditioning, we provide customized solutions to maximize the quality of air in your home or business. Whether it’s an Aprilaire Spacegard Air Cleaner with a Merv Rating of 13 or a Carrier Infinity Air Cleaner with a Merv Rating of 16, we can find and install the best clean air solution for your needs and budget. We can also install Aprilaire Humidifiers to optimize indoor humidity levels during cold, frigid, dry temperatures. From seasonal tune-ups to air conditioner and furnace repair in the Cincinnati area, we proudly offer fast, friendly service at remarkably affordable prices. We also offer budget-friendly installations of furnaces, air conditioners, heat pumps, and more. With almost a century of experience on our side, we can tackle any home project you have in mind. Contact us today to discuss your heating and cooling needs.